She has dedicated her life to helping people, help themselves enjoy Vibrant Health. Margie is known around the world as “The Arthritis Lady”, spending most of her time answering thousands of emails and phone calls, helping people who suffer with arthritis and other ailments. "Margie breaks this cycle. She shows how through proper nutrition, proper positive mental attitude and determination plus exercise she was able to cure her self and her two children and how many of us following her lead will be able to cure ourselves of not only arthritis, but other conditions as well. More importantly, we can, by using these techniques, prevent these maladies from occurring in the first place." Margie tells us the story of her "Painful Odyssey through the Medic-World," and her pleasant adventures into the world of knowledge of nutrition and optimum health. Needless to say, she cured her arthritis..."THE INCURABLE DISEASE." 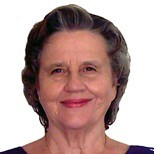 It is a pleasure to present to you Margie Garrison "THE FIRST SELF-CURE SPECIALIST." Arthritis... There is a Way to Stop It! Are we getting well or creating additional health problems? Arthritis? Are You Sick and Tired? "Your health is your responsibility... There is no "Magic Bullet"... To take control of your health you must know what the medical field and the drug companies don't want you to know...."
"IF IT IS TO BE, IT IS UP TO ME"
Since diseases are caused by our eating habits, our way of life and the air we breathe, we can make changes to restore our immune system. Our immune system will heal us when we feed it properly. Your health, good or bad is in your hands. Please remember, you are the master of your own body. You, and only you, can control what you put into your body. For the Optimum in health it is important we do not eat "foodless foods". Most people are well fed and still are MALNOURISHED. Here is a list of what you should and should not eat. Since everyone is different you will have to see exactly what it is you are eating that is causing you problems with your health. Coffee: More than one cup is not good for you. More than 4 cups of coffee a day, the rate of heart attacks increases to 50%. No sodas or anything that says diet, sugar free, decaffeinated or “Lite”. You can have herbal teas, and green teas. If you absolutely have to have a sweetener, use a sugar substitute that can be found in a health food store. Some sugar substitutes have been known to cause cancers. You should not eat flour of any kind. Please give it up for at least 3 weeks and see how you feel. If you then want to add it back into your diet, add it back slowly to see how it makes you feel. No more sugar of any kind. You can have a small amount of real honey that is unprocessed and raw. If it is not unprocessed, do not buy it. The best source is a health food store or a local beekeeper. Look for them in the yellow pages. No cheese, yogurt, milk or cottage cheese. You CAN have real butter and real cream. Meat: At least 70 grams of meat protein a day. Chicken, fish, pork, turkey, seafood, tuna, salmon etc. Eggs: They really are a perfect food. After all they have all it takes to make a chicken!! Vegetables: You will need to test ones like tomatoes and potatoes, they can have a bad effect on some people. The green and orange vegetables are marvelous. Try to introduce a new vegetable from the market every time you go. Try vegetables from other countries. Onions and garlic and all seasonings are fine. Do not use salt. You can get salt-free seasonings at any market. Fruits: They are touchy, you will need to test which ones your body can tolerate fruits that are mostly sugar. They can have a bad effect on some people. Some good fruits are grapefruits, kiwis and berries but not strawberries. You can have them fresh or frozen or canned. Just read the label and make sure there is no sugar added. Do not eat bananas, peaches, oranges, pineapple, pears, and melons of any kind. Or any fruits that is sweet. At least not until your health is better. Water: Drink the equivalent of half your body weight in ounces of water. If you weigh 150 pounds drink 75 ounces of water, etc. The best way is to put the total water for the day in one container and be sure it is gone by at least 3 hours before bed. Don't want to be up all night, do we?